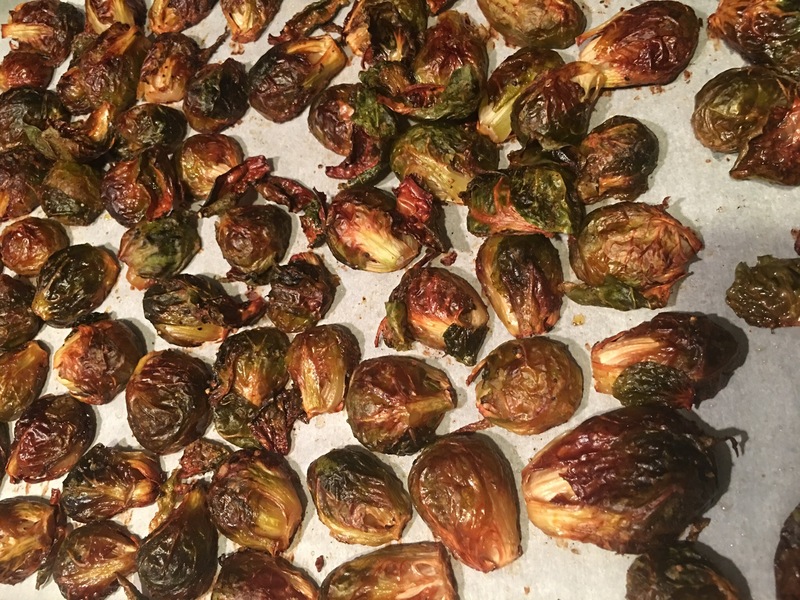 Roasted Brussel Sprouts – Hurried Home Chef! Seems simple enough, and it is…the hardest thing is to decide how crispy you want them, and to wait that long! 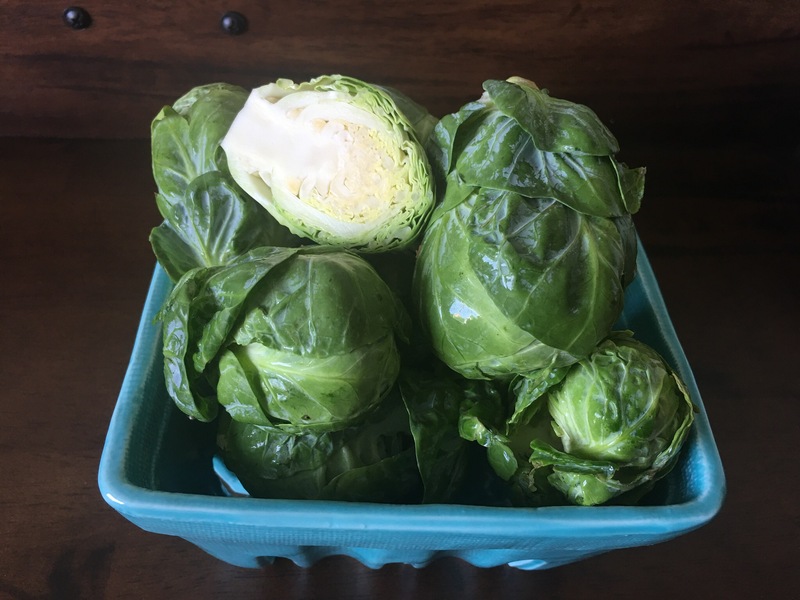 I cook these often and buy them in bulk when available. Wash, cut in half, line a pan with parchment paper, oven at 375-400F. 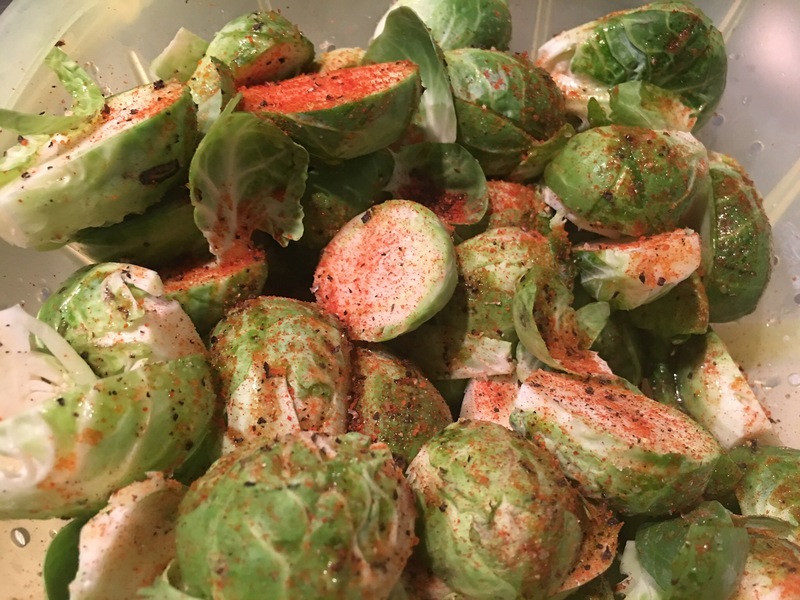 Toss with EVOO, Himalayan sea salt, cayenne and black pepper to your heat tolerance, and toss. Spread out on the baking sheet, I put them all flat side down. I let them go for awhile, about 40-60 minutes. I like them crispy like this. Previous Post Too tired to go out? Pasta with pesto and mushrooms!